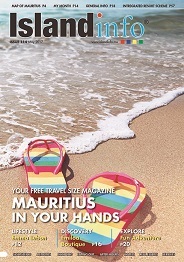 With its sunny skies and warm climate, Mauritius is the destination par excellence for expatriates. The country is renowned for the hospitality it affords holiday makers, but also welcomes those intending more permanent residence. However, it is important to know certain things before making the move to Mauritius. Expatriates are advised to pay attention to all the administrative work that has to be done, so as to minimize the risk of complications. Once the move is complete, concierge services are available to meet the needs and expectations of expatriates, making settling down as smooth and trouble free as possible. Mauritius also has plenty of opportunities for success in business, education and virtually any other activity that people wish to engage in. Emma Lebon VOYAGE FROM UK TO MAURITIUS! RAHUL CHAWLA From India to Mauritius with LOVE! When we lived in Moscow, I had awful mornings because in winter time I had to get up at 6:30 and it was completely dark! And cold! So I love mornings in Mauritius. It is balance that brings happiness to your life. The most important thing is to stay connected to yourself and being able to hear your inner voice. Today, I am so proud to be Mauritian as Mauritius through my husband, gave me roots to allow my spiritual evolution and BE what I AM. We are very fortunate to live in such a beautiful part of the world, make the most of it and keep learning and growing. FROM THE BIG BRITISH ISLAND TO MAURITIUS ! KATHRIN K�HNERT THE LADY WHO CAN DO IT ALL! NICOLAS FALCOU MEET THE FLYING MAN ! CHRYSTEL DE BRICOURT THE FRENCH LADY! LIVING IN MAURITIUS BY JORDAN!